Painting Clouds are really fun! 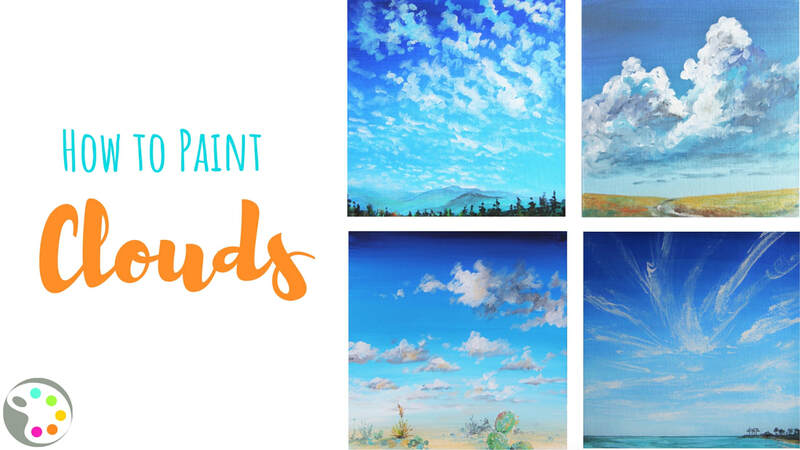 In this tutorial, I give you a step by step, instruction on how to paint different types of clouds and my best painting tips to help you paint your own skies. Remember to be creative and use what you learn to paint your own original paintings. 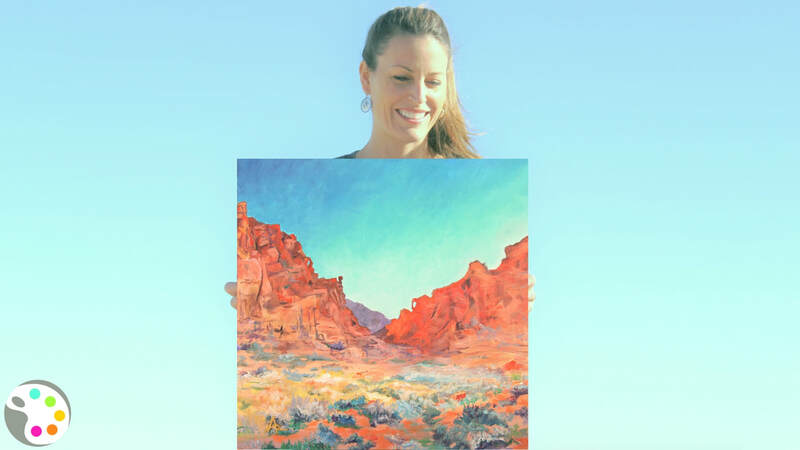 Learn how to get started painting with acrylics. 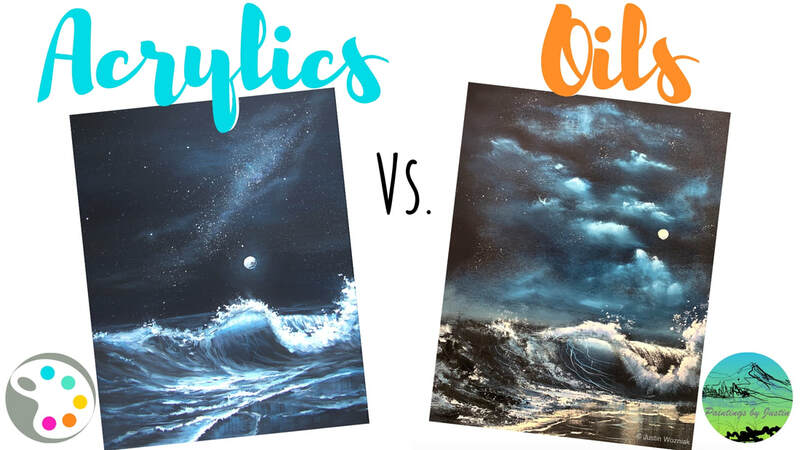 In this post and video below, I teach you all you need to know to get started painting and what I have learned over the years using acrylics. All you need to start painting with acrylics is the basics. I am a big fan of simplicity especially right now as I travel in an RV around the country and have very little space. 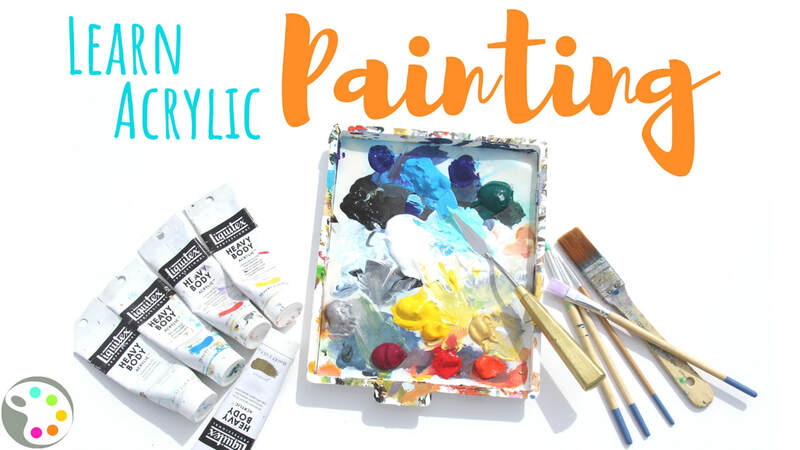 Get ready to take the leap from beginner painter to intermediate, this will be fun! Arizona is the place to come for snowbirds, also known as people escaping the winter. I can see the reasons, you get to enjoy warm days, beautiful views with the saguaros and the lakes with the ducks. There are places in the middle of nowhere that you can take your RV and enjoy the seclusion. This is the view we had when we decided to give that a try. It was a splendid time but cut short with no electricity. For all those Arizona lovers out there, we are now among you, I hope you enjoy this lasting memory I captured here. 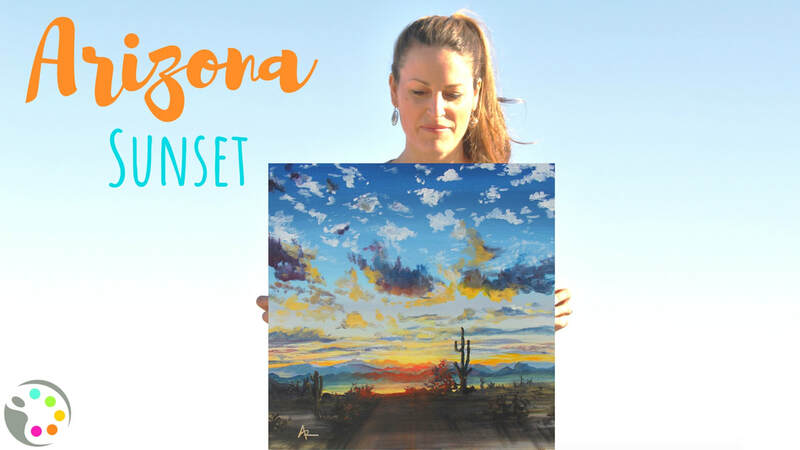 I find painting sunsets as relaxing as looking at them. 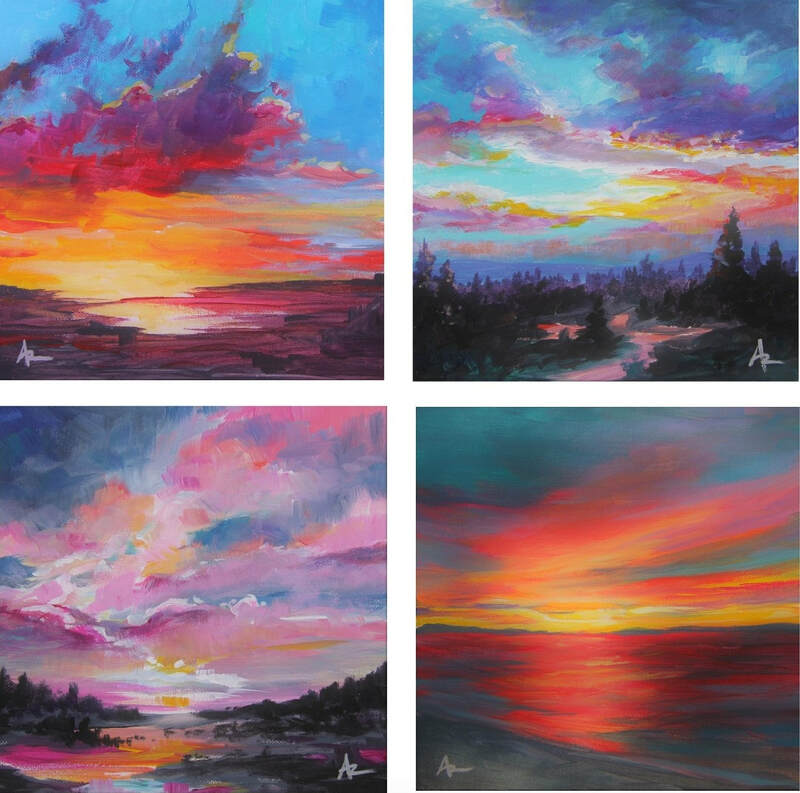 So in this series I painted four sunsets on 8 x 8" panels, highlighting the most wonderful elements of sunsets, their bold display. Come learn how to make gorgeous sunsets in the video below.